Whyte Specialised Equipment has specially formulised its own range of defoaming solutions, designed to help you get the job done. 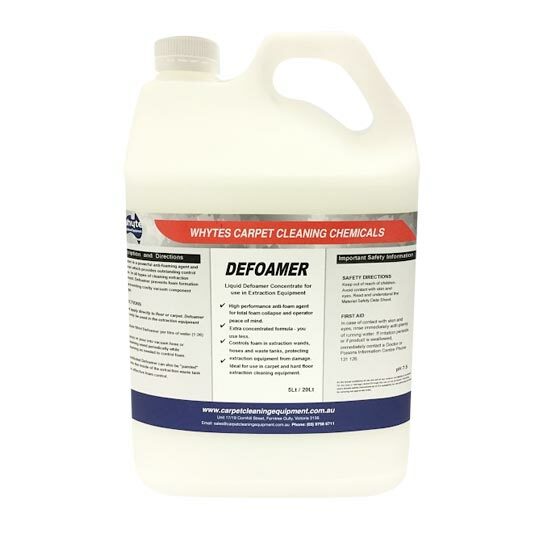 Our carpet cleaner defoamer is a professional anti-foaming liquid that prevents foam from forming in wands and hoses; moisture from the foam may lead to rust forming in your equipment, which will significantly shorten it’s lifespan. 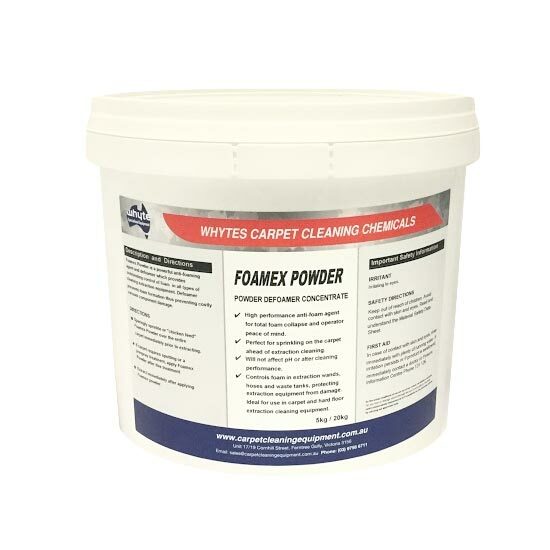 You can also use our defoamer chemical on carpets, as too much foam from soaps and detergents will actually prohibit the absorption of dirt and soil from carpet fibres. Our carpet defoamer is a highly effective silicone complex and is easy and safe to use. Because we use an extra concentrated formula, you can use less product and see better results. Based in Ferntree Gully, our defoamer to businesses across Melbourne, Canberra, Sydney, Brisbane, Darwin, Perth, Adelaide and Hobart – and across regional Australia.